Amherst, MA (December30, 2016)—Eloise has been called a force of nature: brazen, ill-mannered, and utterly appealing, the six-year-old terror of the Plaza Hotel. The girl Kay Thompson created in voice and Hilary Knight brought to life through illustration is at the heart of a new exhibition at The Eric Carle Museum of Picture Book Art, It’s Me Eloise: The Voice of Kay Thompson and the Art of Hilary Knight, on view February 12 through June 4, 2017. 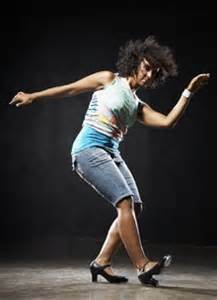 Northampton Jazz Workshop features tap dancer Lisa La Touche on Tuesday February 14th, 8 to 9 PM followed by an open jazz jam until 10:30 PM at the The City Sports Grille at Spare Time Northampton, 525 Pleasant St., Northampton. 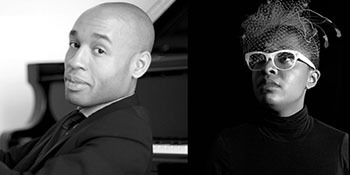 There will also be a pre-show conversation with acclaimed pianist Aaron Diehl and Grammy winner Cécile McLorin Salvant at 7PM. 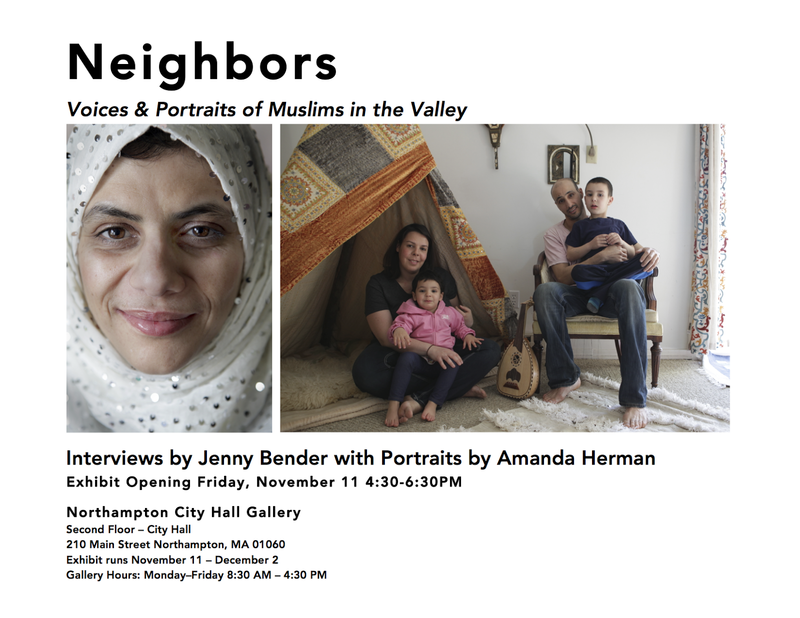 Both events are free and open to all. 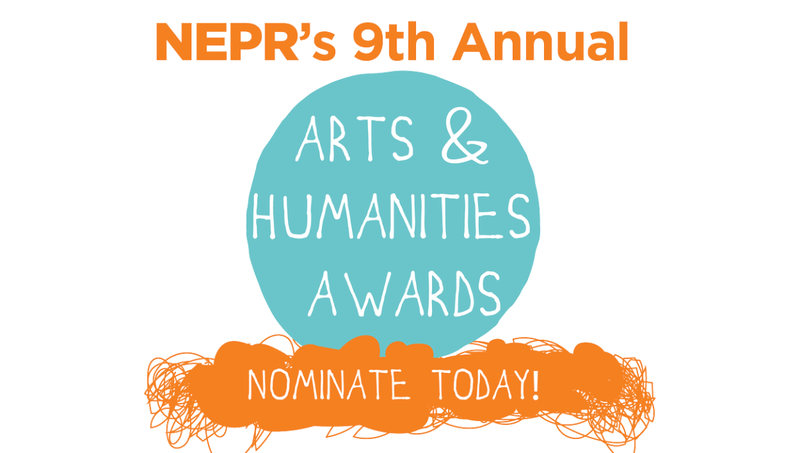 New England Public Radio is now accepting nominations for the 2017 NEPR Arts & Humanities Awards. 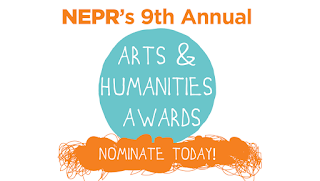 Now in its ninth year, the award recognizes those who have made a positive impact on the arts and humanities and brings awareness to the critical role played by musicians, artists, dancers, writers, teachers and cultural institutions in western New England. All nominations must be received by January 12, 2017. 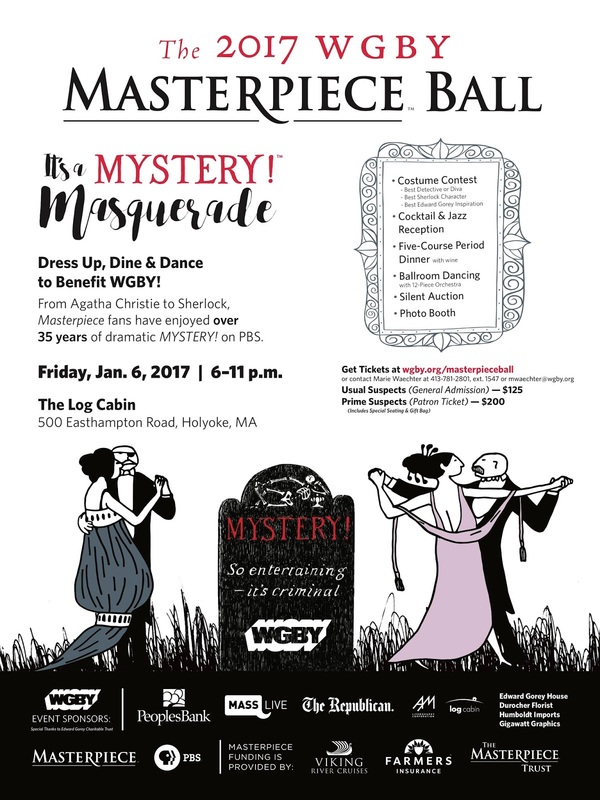 Dress up, dine, and dance at the 2017 WGBY Masterpiece Ball. This year, we celebrate Mystery! 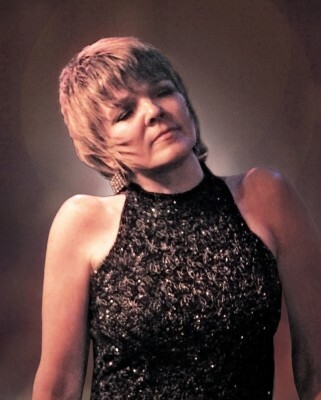 Northampton Jazz Workshop features vocalist Karrin Allyson Tuesday, December 20th, 7:30 to 8:30 PM followed by an open jazz jam until 10:30 PM at the The City Sports Grille at Spare Time Northampton, 525 Pleasant St., Northampton. 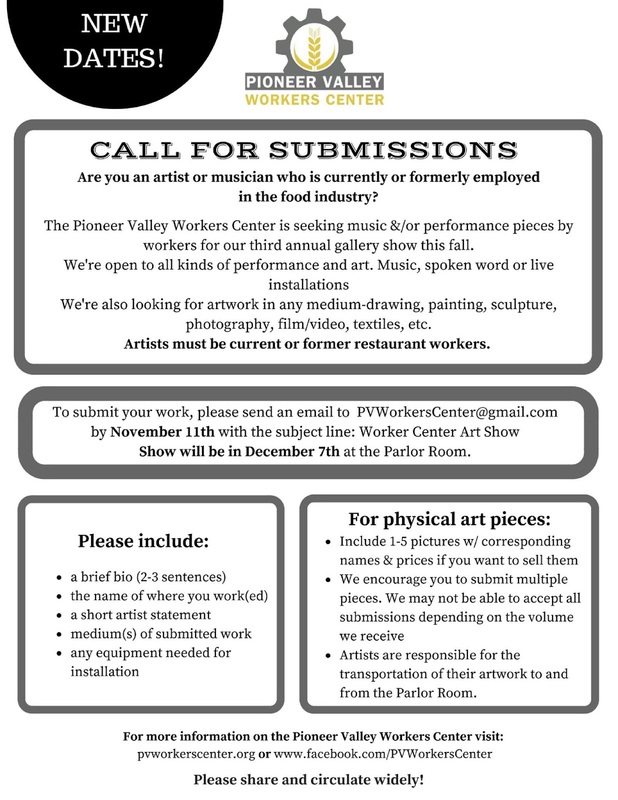 The Northampton Department of Arts & Culture seeks proposals to display visual artwork on the second floor gallery space in Northampton's City Hall for 2017. 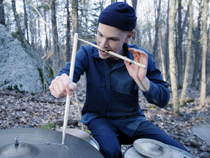 The Northampton Arts Council is pleased to announce the awarding of 27 grants totaling $11,650 in support of a variety of projects from funds allocated by the Massachusetts Cultural Council’s LCC program. The caliber of applications this round was outstanding, and we were unable to fund many worthy projects. The Arts Council received 55 requests for almost $58,828 of funding. Grants were awarded in the following categories: Dance, Film/Video, Literature, Mixed Media, Music, Theater and Visual Arts. A new Arts Center is BORN. Bring your family and friends, invite strangers- share the dance! Dance and hang out and extend your community to the many others who share dance at 25 Main! 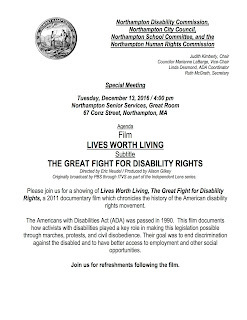 Please join for a showing of Lives Worth Living, The Great Fight for Disability Rights, a 2011 documentary film which chronicles the history of the American disability rights movement. Originally broadcast by PBS through ITVS as part of the Independent Lens series. Northampton Jazz Workshop features alto saxophonist Erena Terakubo Tuesday, December 6th, 7:30 to 8:30 PM followed by an open jazz jam until 10:30 PM at the The City Sports Grille at Spare Time Northampton, 525 Pleasant St., Northampton. 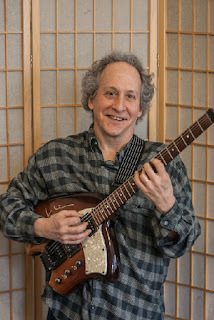 Northampton Jazz Workshop features guitarist Kenny Wessel Tuesday, December 13th, 7:30 to 8:30 PM followed by an open jazz jam until 10:30 PM at the The City Sports Grille at Spare Time Northampton, 525 Pleasant St., Northampton. 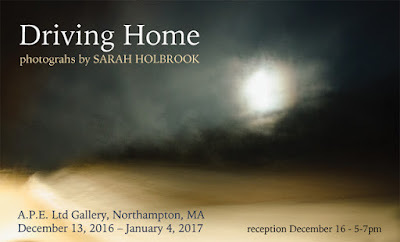 Sarah Holbrook has been working 6 years on this series - DRIVING HOME - trying to capture the feeling of driving these back roads of Western Mass at night. 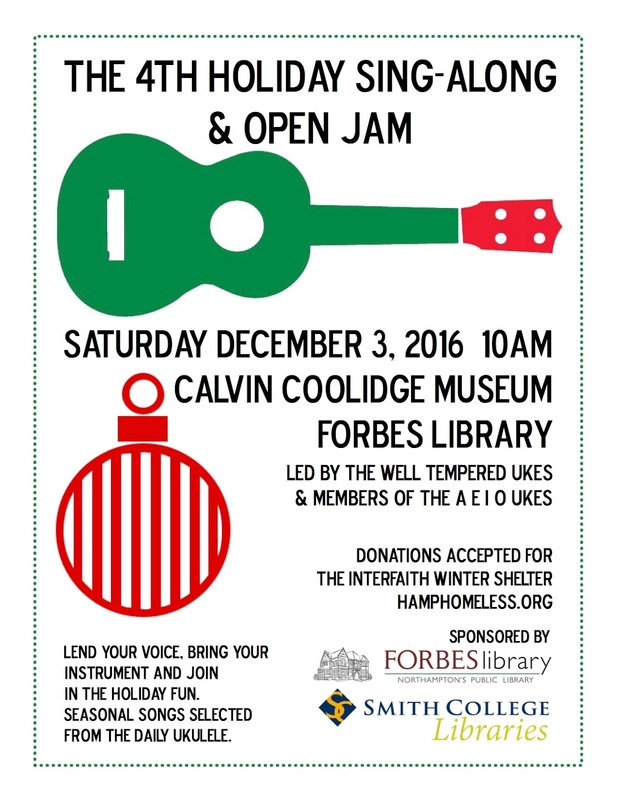 led by the Well Tempered Ukes & members of the A E I O Ukes. 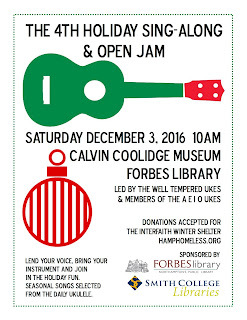 The sing along is a benefit for the Interfaith Winter Shelter. 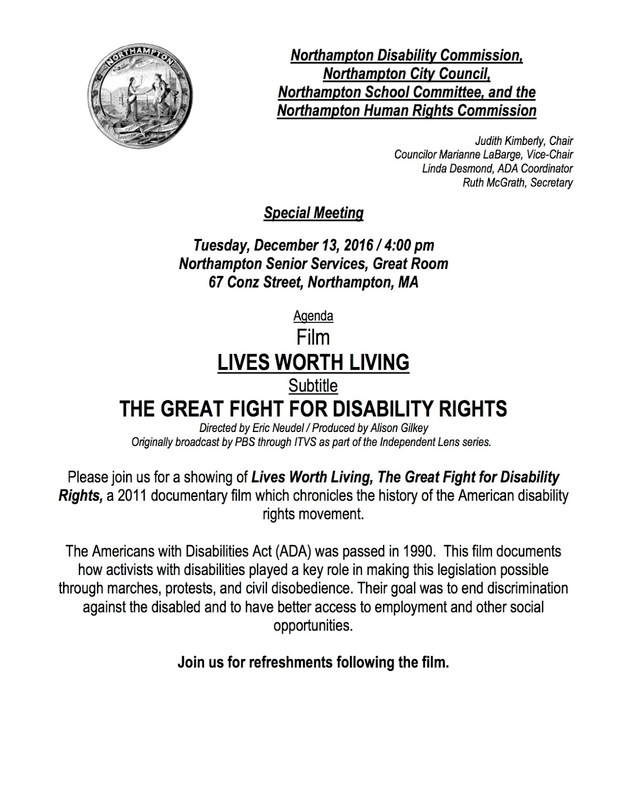 at your Northampton Senior Center on Monday, December 12, at 2:00 pm. At the Grave of Maria Callas: How Does an Aria Turn into a Poem? Northampton poet laureate Patrick Donnelly will explore the roots of his poetry in his training as an opera singer, and especially in his 50-year admiration of the art of Maria Callas. 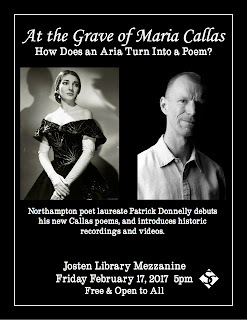 Donnelly will debut a new sequence of poems about Callas, and introduce historic recordings and videos of the singer that some have called the most important artist of the 20th century. As well, Donnelly will explore the attraction of gay men to opera and to Callas in particular, and seek to answer what it is about opera that is consoling and inspiring for queer people. 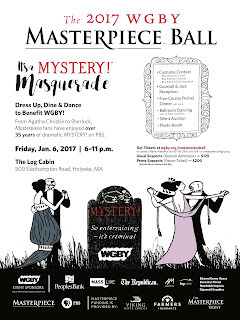 This multi-media event will interest lovers of music, theater, poetry, design, and fashion, and especially opera, a synthesis of all the arts. 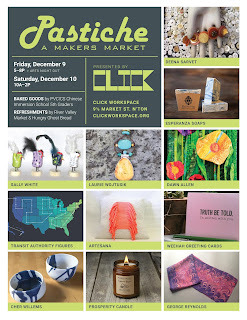 Josten Live! is a patron-driven performance series that celebrates the creative lives of Josten Library users and the acoustic brilliance of its Mezzanine. 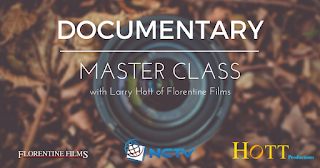 Master Class in Documentary Production with Award-Winning Filmmaker Larry Hott set to launch at Northampton Community Television. 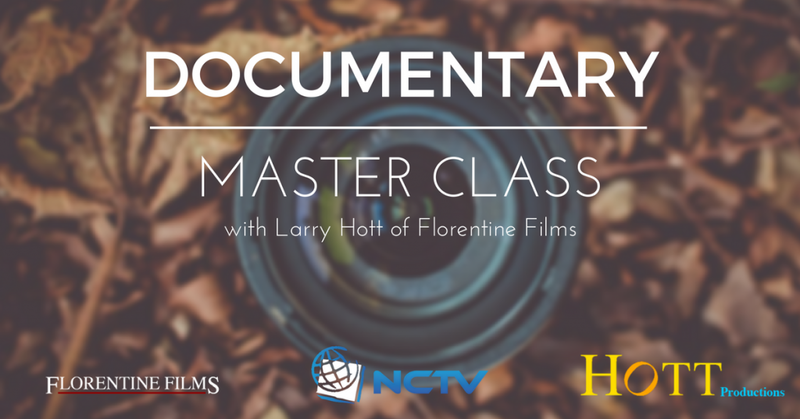 NCTV is proud to be accepting applicationsfor a multi-week workshop in documentary production taught by veteran filmmaker Larry Hott of Florentine Films/Hott Productions. 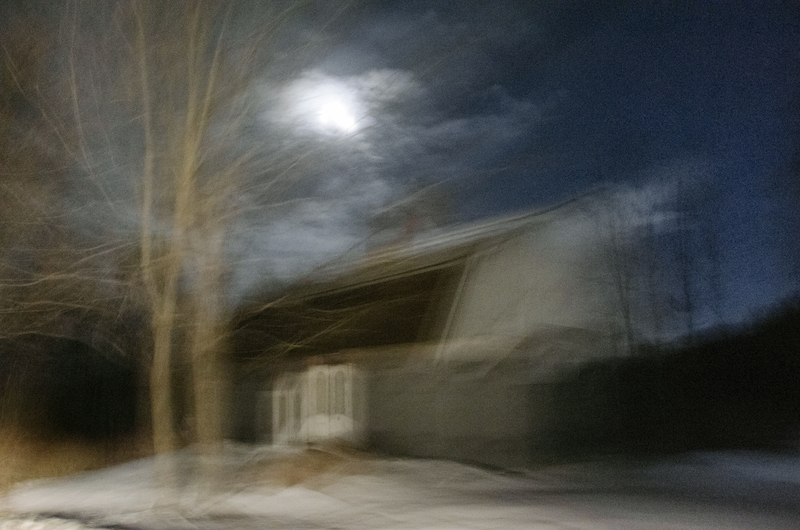 The course will be limited to six filmmakers. 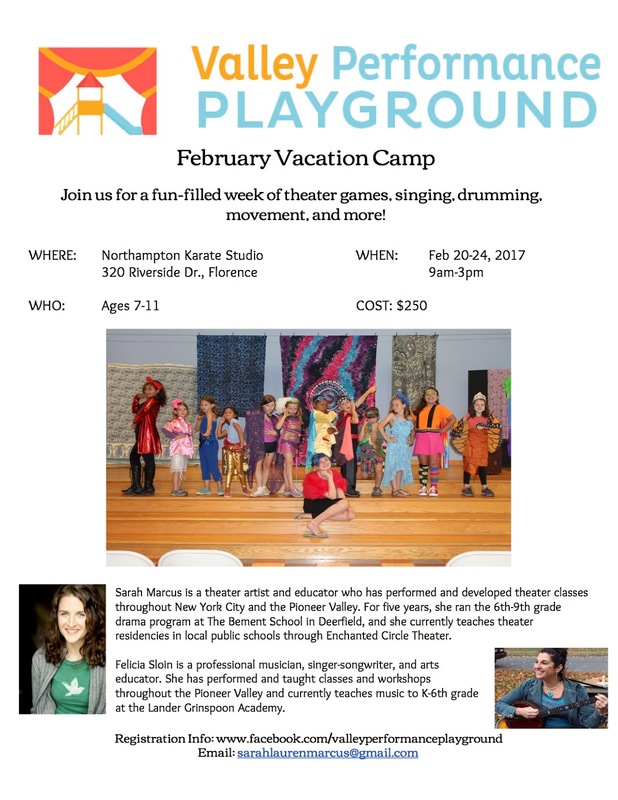 This is an exceptional and rare opportunity, a collaboration between a multiple national award-winning filmmaker in Hott, including multiple Academy Award nominations, and a community media arts organization in NCTV that was named the best in the nation in 2016. And the class is entirely FREE. Opens: Arts Night Out, Friday December 9, 4:30-6:30pm. The next Group Sing at the Northampton Senior Center is Wednesday, December 7, at 7pm. It's free and open to the entire community. Group Sing, which is entering its 6th year, is a monthly sing-along that will be led this time by Chris Haynes on the accordion and piano. Chris is Chair of the Springfield College Music Department and has served as Band Director for the Young at Heart Chorus. It's 2 hours of singing popular songs just for the joy and fun of singing with others. Everyone is welcome, singers and non-singers alike. 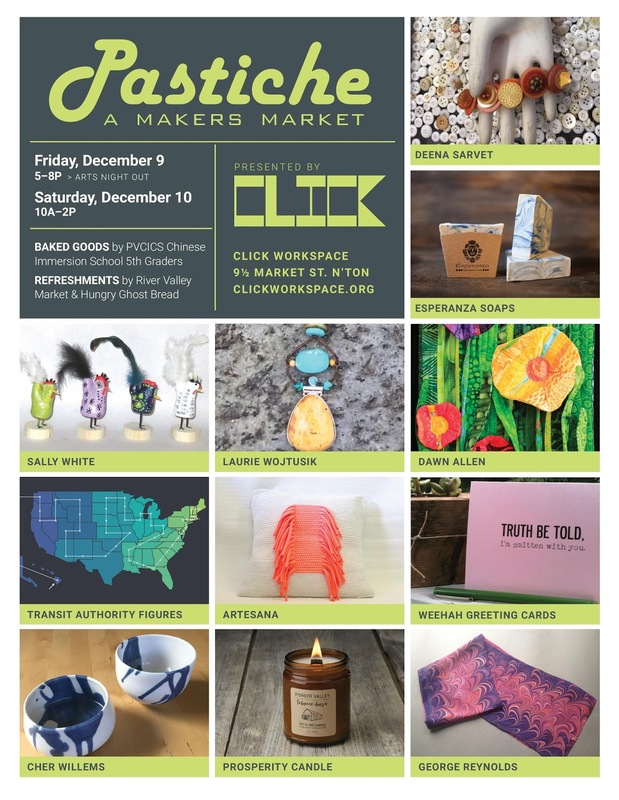 Click Workspace, Northampton’s coworking center at 9 ½ Market Street, will open its doors to the public to showcase a wide variety of handmade art, goods, and gifts from Pioneer Valley artists and socially-conscious local companies during Pastiche, A Makers Market, on Friday, December 9th and Saturday, December 10th. 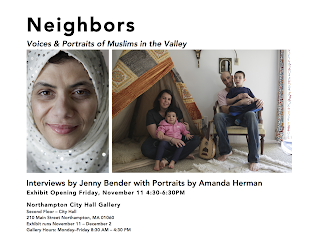 Friday’s market will be open from 5 p.m. to 8 p.m., as part of Arts Night Out Northampton. 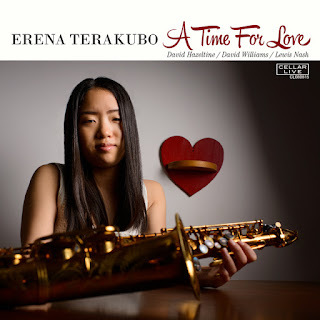 The evening will completed with refreshments, a bake sale by the Pioneer Valley Chinese Immersion Charter School, and music by pianist Cara Hudson-Erdman. 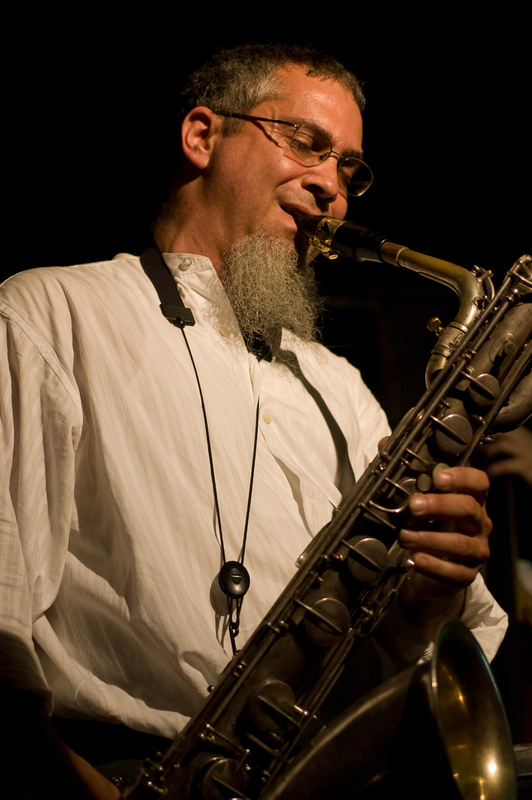 The market will continue on Saturday the 10th from 10 a.m. to 2 p.m.
Northampton Jazz Workshop features the Green Street Quintet with Jason Robinson on sax and Don Anderson on trumpet on Tuesday, November 29th, 7:30 to 8:30 PM followed by an open jazz jam until 10:30 PM at the The City Sports Grille at Spare Time Northampton, 525 Pleasant St., Northampton. An evening of contemporary sound, movement and performance. 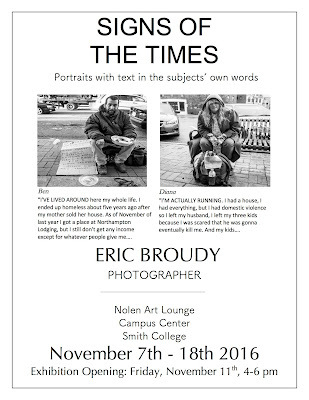 ERIC BROUDY: "SIGNS OF THE TIMES"
9-noon, 1-5 pm. Saturday, 10:00 am.-1:00 pm. 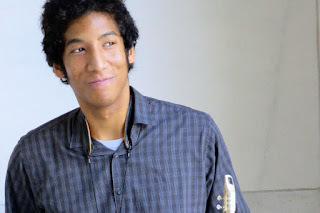 Northampton Jazz Workshop features saxophonist Jovan Alexandre Tuesday, November 22nd, 7:30 to 8:30 PM followed by an open jazz jam until 10:30 PM at the The City Sports Grille at Spare Time Northampton, 525 Pleasant St., Northampton. Calling all food system workers!!! Restaurant Workers, Farm Workers, Retail Food Workers! There are only 3 more days to submit for the show! 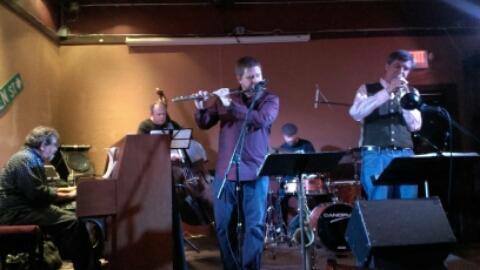 It takes place on Dec 7th at The Parlor Room. We are planning to market the show as a place to do your holiday shopping so if you have art to sell this will be the place! 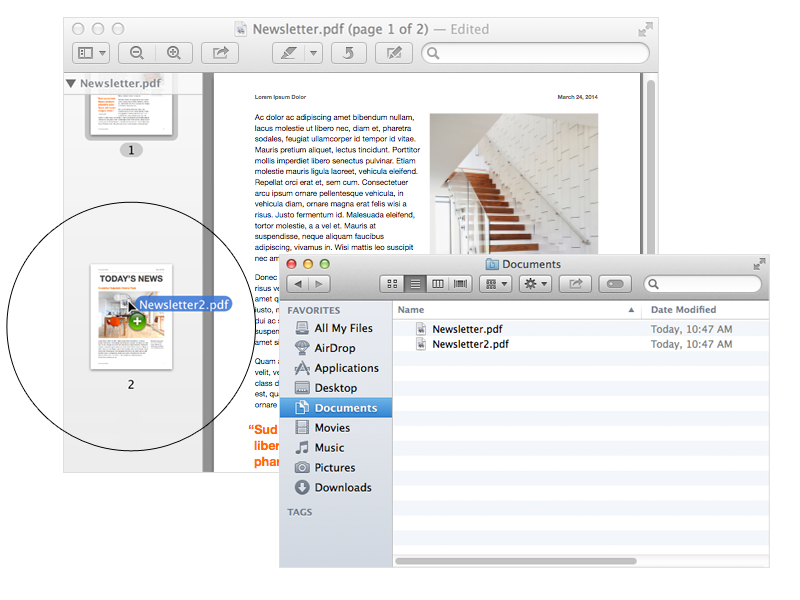 You can use Preview to move pages from one PDF document to another. Use these steps to move pages between PDF documents. Open the PDF documents that you want to combine in Preview. Select each Preview window, then choose View > Thumbnails to open the Thumbnails pane. Select the thumbnails of the pages you want to move. You can press the Shift key or the Command key while clicking each page thumbnail to select multiple pages. Drag the thumbnails from one PDF window to the thumbnails pane of the other PDF window. Move your pointer to where you want the pages to appear in the PDF. Note: When dragging the thumbnail to the top or the bottom of the thumbnail pane, a divider line may appear. To ensure your pages are inserted into the current document, do not drag the thumbnail beyond the divider line. Release your pointer to move the pages to the location you've selected. To move an entire document into another PDF, you can also drag the document's icon from the Finder into the thumbnail pane of a currently open Preview window. You can also insert pages from another document using the Edit menu. Choose Edit > Insert and select an option. Choose the option "Page from File" to select an image file or another PDF you want to insert into the document. If you have a scanner connected to your Mac, choose the option "Page from scanner" to scan a page directly into the document you're viewing. Northampton Jazz Workshop features saxophonist Erik Lawrence Tuesday, November 15th, 7:30 to 8:30 PM followed by an open jazz jam until 10:30 PM at the The City Sports Grille at Spare Time Northampton, 525 Pleasant St., Northampton. 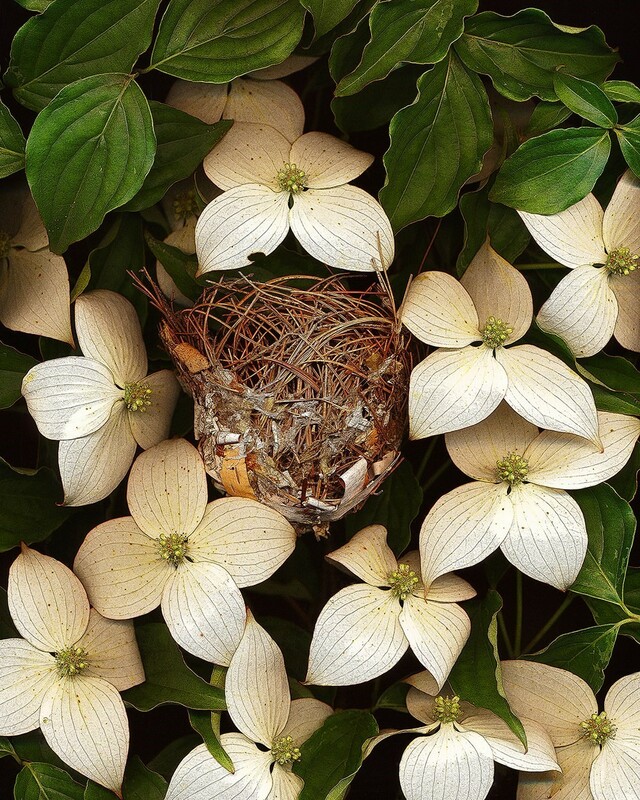 On Friday November 11, 2016 at 3:00 PM a new sculpture titled “Hope” by late artist Greg Stone will be unveiled on the lawn outside the Hampshire County Courthouse in the center of downtown Northampton. Members of Stone’s family will be in attendance to unveil the sculpture. Stone, a prolific artist known for his unflinching urban landscapes, luminous portraits of ordinary people, and expressionist bronze sculptures, passed away September 29th of cancer after a long and public career in the Valley. 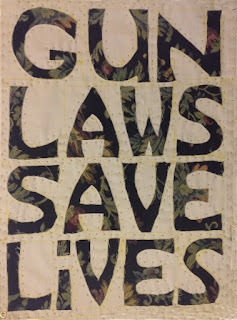 Stephen Petegorsky - "The Meadows"
Vision Quilt is a non-profit organization based out of southern Oregon. Cathy DeForest, the leader and creator, has devoted herself to starting a dialog about gun violence. In the past decades there has been a surge in gun related incidents, such as the tragedy that took place at Sandy Hook elementary school in 2012. Vision Quilt aims to bring people together to discuss, create, and work through the complex emotions that these incidents elicit. Workshops have been held all over the country where participants are encouraged to make a panel concerning their personal views, for a virtual quilt that is hosted on the Vision Quilt website. During these workshops a safe space is provided where people with varying backgrounds and opinions are able to speak about the rising epidemic of gun violence in America. These small conversations in conjunction with the creation of the quilt panels, open up a larger, national conversation that shows us that it is possible to someday live in a world without gun violence. A workshop will be held at A.P.E. 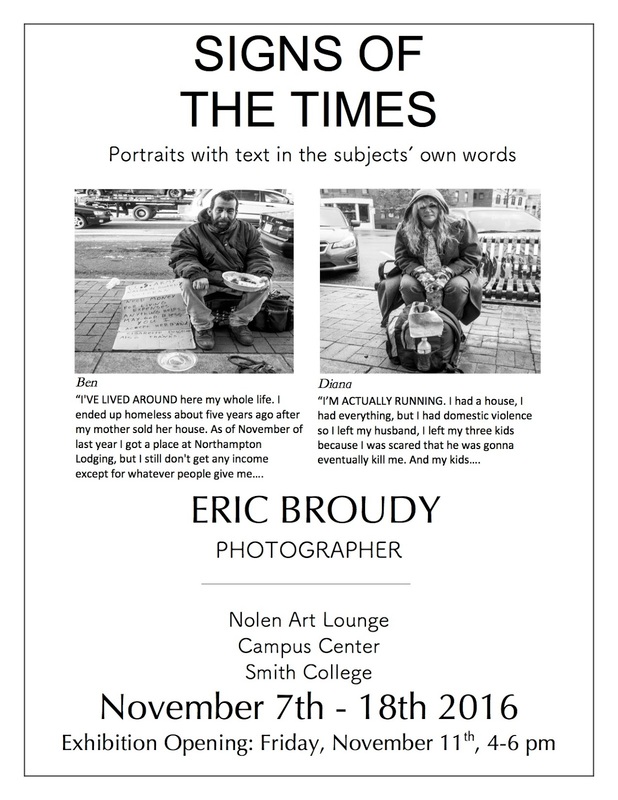 Gallery, materials will be provided, please come with an open mind and a willingness to speak about these issues. Contact Ivy Vance at ivy.vance@gmail.com for more information about Vision Quilt or participation in the workshop. 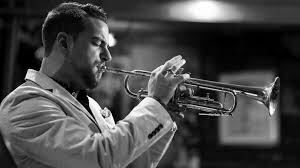 Northampton Jazz Workshop features trumpeter Josh Bruneau Tuesday, October 25th, 7:30 to 8:30 PM followed by an open jazz jam until 10:30 PM at the The City Sports Grille at Spare Time Northampton, 525 Pleasant St., Northampton. 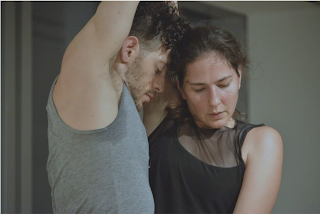 Independent choreographers Barbara Diewald, Leah Fournier, Madison Pallfy and Jennifer Polins curate a new informal performance series presented in partnership with the School for Contemporary Dance and Thought in downtown Northampton. Performances will take place at SCDT (The School for Contemporary Dance and Thought) at 25 Main Street in Northampton (Fourth Floor). Tickets are available at the door for $10 (General Admission), $5 (Students and Seniors), and are free for students currently enrolled in SCDT’s Youth Dance Program. Please direct all questions to Barbara Diewald at barbiescdt@gmail.com.